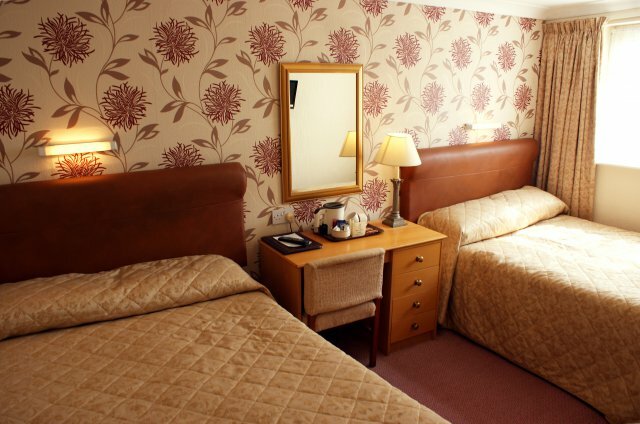 We have a selection of 45 bedrooms, all of which offer ensuite facilities. Each room is equipped with a flat screen tv, hairdryers, toiletries, and complementary tea and coffee making facilities which are replenished each morning by our daily housekeeping service. Towels of course are provided and changed when required. Ironing facilities are available from reception. An information booklet on the Hotel is provided in each room to tell you anything you may need to know. 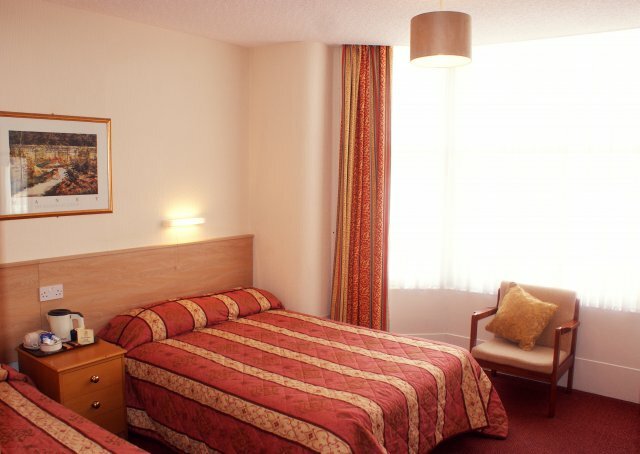 All of our rooms are furnished to a high standard, and comfort and cleanliness are a top priority. We are very proud to have achieved Visit Britain Three Star Guest Accommodation Rating. All our rooms have central heating and for the 2019 season we have replaced the old lift with a new passenger lift to all floors which make stairs an option. 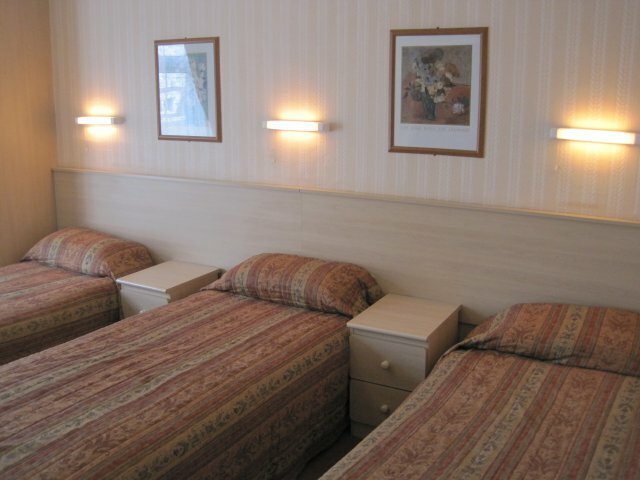 We also have a number of ground floor rooms available.